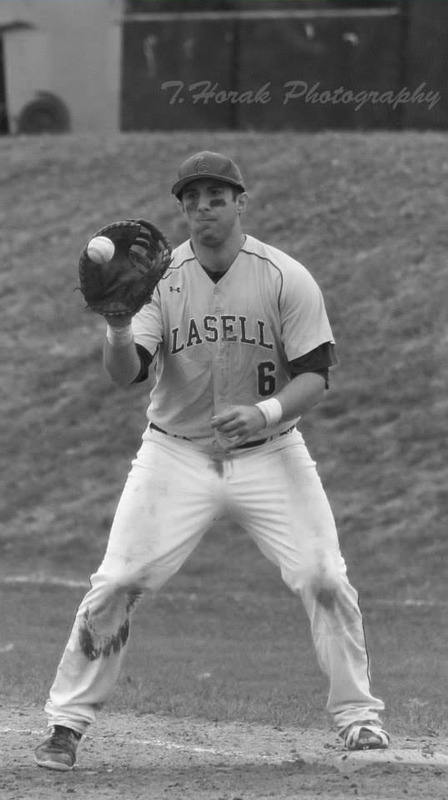 Billy Uberti ended his Lasell senior baseball season in a disappointing fashion, losing to Suffolk University in the Eastern College Athletic Conference tournament after playing for four years. His goal was to win a Greater Northeast Athletic Conference championship, but he is now following a different path. Uberti has returned to Lasell as a member of the coaching staff. Uberti played in every game for last year and had the fifth highest average, hitting .311. After graduation, he played summer baseball in the Yawkey Baseball League and won his third consecutive Gold Glove award at first base. He then went overseas to Australia and played for the Breakthrough Bandits, a minor league affiliate for the Brisbane Bandits of the Australian Baseball League. Uberti is one of two new members of the coaching staff this year, along with Mike Smith. He said Lasell contacted him after he graduated last year about returning to be an assistant coach. Uberti always expects to perform well and this year there is no exception. “I expect the team to work hard and get better every day. If that can be our mission then we will be ready to compete,” he said. Senior Kevin Post has been a teammate of Uberti’s for three years and is excited to have him as a coach now. “Billy’s experience playing ball in Australia, along with his ability to work with our hitters is going to help our team,” said Post. Uberti understands it’s difficult to go from being a player to a coach, especially when he has such a close brotherhood with many of the players. Senior Evan Mozingo played three years with Uberti and has the utmost respect for him as a player and a coach. While coaching is a new endeavor for Uberti, he has experience with former teammates who went on to coach him. “I was a two year teammate with Conor Cavanough, who then coached me for two years so I learned a lot from him,” said Uberti. Uberti brings a wealth of knowledge to the Lasell baseball coaching staff, which now has two coaches who played professional baseball. His proven ability at the plate will transition to the current team and positively affect their hitting. Choosing the right telephone system for your small business is an important decision that will effect how your customers perceive your business when communicating with you. you will have some costs involved. For a business to run smoothly, user-friendly software is needed.